Prospective students may write for Masters’ (M.Sc.) or Doctoral (Ph.D.) programs in the areas related to Photonics/Optical Waveguides. Topics include wave propagation in complex structured optical mediums, metamaterials and the growth of nanostructured thin films for optical biosensing and/or biometric reading. A fellowship for Ph.D. student is currently available. My academic life was spent in different universities in India. To me the most respected person has been my revered teacher – The Late Professor Prasad Khastgir – who put real efforts by head and heart in shaping my life. He was a man having strong belief on truth and wisdom. I still remember his words – “A man is first a Man, and then a Scientist.” I feel myself greatly fortunate as my fate brought me under the eminent guidance of such a great personality who was a real torch bearer for me; teachers like him are rare. Pankaj Kumar Choudhury’s academic career was entirely spent in different institutions in Varanasi (India). He started his research career in 1989 from the Department of Applied Physics, Institute of Technology (IT), Banaras Hindu University (BHU), Varanasi (India), and received the Ph.D. degree in Physics in 1992. From 1992 to 1997, he worked as a Research Associate in the Department of Electronics Engineering at IT, BHU. Also, during 1995–1996, he was a Guest Lecturer in Physics at the Faculty of Science and Technology, Mahatma Gandhi Kashi Vidyapith, Varanasi. In 1997 he joined the Department of Physics at Goa University, Goa (India) as a Lecturer, where he was for a couple of years until 1999. During the late 1999 he joined the position of Researcher at the Center of Optics, Photonics and Lasers (COPL), Laval University, Quebec (Canada), where he worked on the fabrication and characterization of ferroelectric optical waveguides. During 2000–2003 he was a Researcher at the Faculty of Engineering, Gunma University, Kiryu (Japan), where he worked on the electromagnetic behavior of optical waveguides and sensing. In May 2003 he joined the position of Professor at the Faculty of Engineering, Multimedia University (Malaysia) where he was until the late 2009. During the span, he also served the Telekom Research and Development (TMR&D, Malaysia) as a consultant for a couple of projects on optical devices. During the late 2009 he became Professor at the Institute of Microengineering and Nanoelectronics (IMEN), Universiti Kebangsaan Malaysia (The National University of Malaysia, Malaysia). His current research interests lie in the theory of optical waveguides, which include complex mediums, fiber and integrated optics, fiber optic devices, optical sensors and metamaterial absorbers. He has published over one hundred and ninety five research papers; has contributed chapters to nine research level books; edited and co-edited three research level books in these areas, and serves as a reviewer for about twenty research journals. 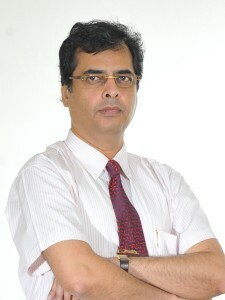 Also, he serves the Editorial Board of Optik – The International Journal of Light and Electron Optics (published by Elsevier, Germany), Waves in Engineering, Science and Technology (published by American Scientific Publishers, USA) and the Asian Journal of Physics (Anita publications, India). He is the Editor-in-Chief of the Journal of Electromagnetic Waves and Applications (published by Taylor & Francis, UK). He is a Senior Member of the Institute of Electrical & Electronics Engineers (IEEE), a Lifetime Member of the Optical Society of America (OSA), and a Member of the Society of Photo-Optical and Instrumentation Engineers (SPIE). Reviewer for Journal of Lightwave Technology, IEEE Photonics Technology Letters, Optics Communications, Optical Engineering, Optik, IET Communications, Journal of Nanophotonics, Optics and Laser Technology, Laser Physics, International Journal of Microwave and Optical Technology, Progress in Electromagnetics Research, International Journal of Optics, Journal of Electromagnetic Waves and Applications, International Journal of Applied Electromagnetics and Mechanics, Advances in Optical Technologies, Journal of Modern Optics, Journal of Nanomaterials, Nuclear Science and Techniques, Waves in Random and Complex Media, Optical Fiber Technology, Physics Letters A, Journal of Applied Remote Sensing, Applied Optics, International Journal of Infrared and Millimeter Waves. Editorial Board Member, Waves in Engineering, Science and Technology (Published by American Scientific Publishers, USA). Editorial Board Member, Optik – The International Journal of Light and Electron Optics (published by Elsevier, Germany). Optical waveguides of different cross-sectional geometries and/or materials; Complex mediums; Thin film optical waveguides fabrication and characterization; Optical sensors; Photonic crystals; Vertical cavity surface emitting lasers. Undergraduate: Field Theory; Advanced Electromagnetic Theory; Antennas & Propagation; Optoelectronics & Optical Communications; Modern Physics; Digital Communications. Postgraduate: Fundamentals of Modern Optics; Optoelectronic Devices; Optical Communications; Analog Communications; Microwave Devices; Network Analysis and Synthesis; Basic Electronics; Consumer Electronics; Basic nanoelectronics; Applied nanoelectronics; Microelectronic Devices; Advanced Devices Technology; Research Methodology. P. K. Choudhury and O. N. Singh, Frontiers in optical technology: Materials and devices, Nova Science Publishers (USA) 2007; ISBN: 978-1-60021-084-8. P. K. Choudhury, Electromagnetics of micro- and nanostructured guides – Pathways to nanophotonics, UKM Press (Malaysia) 2013; ISBN: 978-967-412-071-9. P. K. Choudhury, New developments in liquid crystals and applications, Nova Science Publishers (USA) 2013; ISBN: 978-1-62618-677-4. P. K. Choudhury and O.N. Singh, Some multilayered and other unconventional lightguides, Invited review article in Electromagnetic Fields in Unconventional Structures and Materials (Wiley, USA, Eds. O. N. Singh and A. Lakhtakia) pp. 289–357 (2000). P. K. Choudhury and O. N. Singh, Electromagnetic materials, Invited review article in Encyclopedia of RF and Microwave Engineering (Wiley, USA; Ed. Kai Chang), pp. 1216–1231 (2005). Abdel-Baset M. A. Ibrahim and P. K. Choudhury, Omniguiding Bragg fibers: Recent advances, Invited review article in Frontiers in Lasers and Electro-Optics Research (Nova, USA; Ed. W. T. Arkin) pp. 63–88 (2006). P. K. Choudhury and O. N. Singh, An overview of optical sensors and their applications, Review article in Frontiers in Optical Technology: Materials and Devices (Nova, USA; Eds. P. K. Choudhury and O. N. Singh) pp. 235–271 (2007). S.S. Pathmanathan and P. K. Choudhury, Novel usage of Erbium in optical communication systems – From fundamentals to performance characteristics, Invited review article in Erbium: Compounds, Production and Applications (Nova, USA; Ed. Emily K. Bryne) pp. 67–107 (2010). P. K. Choudhury, Tapered optical fibers – An investigative approach to the helical and liquid crystal types, Invited review article in Fiber Optic Sensors (InTech, Croatia; Eds. Y. Moh, S. W. Harun, and H. Arof) pp. 185–232 (2012). Md. Mijanur Rahman and P.K. Choudhury, Cavity quantum electrodynamics – Application to quantum state transfer through nanophotonic waveguidance, Invited review article in Computational Nanophotonics: Modeling and Applications (CRC Press – Taylor & Francis Group, LLC; Ed. Sarhan M. Musa) pp. 177–259 (2013). P. K. Choudhury, Liquid crystal optical fibers and their applications – A brief overview, Review article in New Developments in Liquid Crystals and Applications (Nova, USA; Ed. P. K. Choudhury) pp. 229–266 (2013). P. K. Choudhury, Krishna Kanti Dey, and Saurabh Basu, Micro- and nanoscale technologies – Avenues and applications in certain directions, Invited review article in Nanoscale Spectroscopy with Applications (CRC Press – Taylor & Francis Group, LLC; Ed. Sarhan M. Musa) pp. 229–266 (2013). P. K. Choudhury, Masih Ghasemi, and M. A. Baqir, Twisted clad optical guides – Concept, features and applications, Invited review article in Optical Fibers: Technology, Communications and Recent Advances (Nova, USA; Ed. Mário F. S. Ferreira), pp. 183210 (2017). P. K. Choudhury and N. Iqbal, Scattering features of complex mediums, In Encyclopedia of Image Processing (CRC Press – Taylor & Francis Group, LLC; Ed. Phillip A. Laplante), pp. 615648 (2018). P. K. Choudhury and T. Yoshino, On the pH response of fiber optic evanescent field absorption sensor having a U-shaped probe: an experimental analysis, Optik, Vol. 114, No. 1, pp. 13–18 (2003). P. K. Choudhury and T. Yoshino, TE and TM modes power transmission through liquid crystal optical fibers, Optik, Vol. 115, No. 2, pp. 49–56 (2004). P. K. Choudhury and T. Yoshino, On the fiber-optic chlorine sensor with enhanced sensitivity based on the study of evanescent field absorption spectroscopy, Optik, Vol. 115, No. 7, pp. 329–333 (2004). Abdel-Baset M. A. Ibrahim, P. K. Choudhury, and M. S. B. Alias, Analytical design of photonic band-gap fibers and their dispersion characteristics, Optik, Vol. 116, pp. 169–174 (2005). Abdel-Baset M. A. Ibrahim, P. K. Choudhury, and M. S. Alias, On the analytical investigation of fields and power patterns in coaxial omniguiding Bragg fibers, Optik, Vol. 117, pp. 33–39 (2006). M. H. Lim, S. C. Yeow, P. K. Choudhury, and Deepak Kumar, Towards the dispersion characteristics of tapered core dielectric optical fibers, Journal of Electromagnetic Waves and Applications, Vol. 20, pp. 1597–1609 (2006). S. C. Yeow, M. H. Lim, and P. K. Choudhury, A rigorous analysis of the distribution of power in plastic clad linear tapered fibers, Optik, Vol. 117, No. 9, pp. 405–410 (2006). P. K. Choudhury and Deepak Kumar, Towards dispersion relations for tapered core dielectric elliptical fibers, Optik, Vol. 118, pp. 340–344 (2007). D. Kumar and P. K. Choudhury, An introduction to modes and their designation in circular and elliptical fibers, American Journal of Physics, Vol. 75, pp. 546–551 (2007). A. Nair and P. K. Choudhury, On the analysis of field patterns in chirofibers, Journal of Electromagnetic Waves and Applications, Vol. 21, No. 15, pp. 2277–2286 (2007). S. M. Mitani, P. K. Choudhury, and M. S. Alias, Design and analysis of a GaAS based 850 nm vertical-cavity surface-emitting laser with different dopings in the reflection regions, Journal of Russian Laser Research, Vol. 28, No. 6, pp. 610–618 (2007). S. M. Mitani, P. K. Choudhury, and M. S. Alias, On the characterization of a new type of oxide confined 850 nm GaAs based vertical cavity surface-emitting laser, Optik, Vol. 119, pp. 373–378 (2008). P. K. Choudhury and A. Lakhtakia, The future of optoelectronics technology, Asian Journal of Physics, Vol. 17, No. 2, pp. 181–183 (2008). S. S. Pathmanathan, Hairul A. Abdul-Rashid, and P. K. Choudhury, An experimental investigation of double-pass erbium-doped optical amplifier with tunable band-pass filter, Asian Journal of Physics, Vol. 17, No. 2, pp. 241–244 (2008). Md. Mijanur Rahman and P. K. Choudhury, Particle physics with extra dimensions: State-of-the-art, Asian Journal of Physics, Vol. 17, No. 2, pp. 263–272 (2008). M. N. Mohd. Nasir, M. H. Al-Mansoori, H. A. Abdul Rashid, P. K. Choudhury, and Z. Yusoff, Multi-wavelength Brillouin erbium fiber laser incorporating a fiber Bragg grating filter, Laser Physics, Vol. 18, No. 4, pp. 446–448 (2008). M. N. Mohd Nasir, Z. Yusoff, M. H. Al-Mansoori, H. A. Abdul Rashid, and P. K. Choudhury, Broadly tunable multi-wavelength Brillouin-erbium fiber laser in a Fabry-Perot cavity, Laser Physics Letters, Vol. 5, No. 11, pp. 812–816 (2008). M. N. Mohd Nasir, Z. Yusoff, M. H. Al-Mansoori, H. A. Abdul Rashid, and P. K. Choudhury, Low threshold and efficient multi-wavelength Brillouin-erbium fiber laser incorporating a fiber Bragg grating filter with intra-cavity pre-amplified Brillouin, Laser Physics Letters, Vol. 6, No. 1, pp. 54–58 (2009). Mohd Sharizal Alias, Paul O. Leisher, Kent D. Choquette, P. K. Choudhury, Sufian M. Mitani, Mohd Razman Y., and Abdul Fatah A. M., Effect of oxide aperture on the performance of 850 nm vertical-cavity surface-emitting lasers, Optik, Vol. 120, No. pp. 121–126 (2009). C. C. Siong and P. K. Choudhury, Propagation characteristics of tapered core helical clad dielectric optical fibers, Journal of Electromagnetic Waves and Applications, Vol. 23, pp. 663–674 (2009). M. N. Mohd Nasir, Z. Yusoff, M. H. Al-Mansoori, H. Azhar A. Rashid, and P. K. Choudhury, Widely tunable multi-wavelength Brillouin-erbium fiber laser utilizing low SBS threshold photonic crystal fiber, Optics Express, Vol. 7, pp. 12829–12834 (2009). M. S. Alias, S. Shaari, P. K. Choudhury, and S. M. Mitani, Improved efficiency of GaAs-based VCSEL by utilizing fan-pad metallization and trench patterning, Laser Physics, Vol. 19, pp. 2096–2101 (2009). Md. Iqbal Johari, Azin Adamiat, N. S. Shahabuddin, Z. Yusoff, H. Azhar A. Rashid, M. H. Al-Mansoori, and P. K. Choudhury, Ring cavity multiwavelength Brillouin-erbium fiber laser with a partially reflective fiber Bragg grating, Journal of the Optical Society of America B, Vol. 26, pp. 1675–1678 (2009). M. N. Mohd Nasir, Z. Yusoff, M. H. Al-Mansoori, H. A. Abdul Rashid, and P. K. Choudhury, On the pre-amplified linear cavity multi-wavelength Brillioun-erbium fiber laser with low SBS threshold highly nonlinear photonic crystal fiber, Laser Physics, Vol. 19, pp. 2027–2030 (2009). Mohd Sharizal Alias, Sahbudin Shaari, P. K. Choudhury, and Sufian M. Mitani, Comprehensive uniformity analysis of GaAs-based VCSEL epiwafer by utilizing the on-wafer test capability, Journal of Russian Laser Research, Vol. 30, pp. 368–375 (2009). Md. Mijanur Rahman and P. K. Choudhury, Polarized photon generation for the transport of quantum states: A closed-system simulation approach, Progress in Electromagnetics Research M, Vol. 8, pp. 249–261 (2009). S. S. Pathmanathan, S. Z. Muhd-Yassin, H. A. Abdul-Rashid, and P. K. Choudhury, An experimental investigation of the gain spectrum of erbium-doped fiber amplifiers under various system configurations, Optik, Vol. 212, pp. 184–187 (2010). Mohd Sharizal Alias, Sahbuddin Shaari, and P. K. Choudhury, High performance 850 nm vertical-cavity surface-emitting laser in Gigabit Ethernet networks, Optik, Vol. 121, pp. 526–530 (2010). D. Kumar, P. K. Choudhury, and Faidz Abd. Rahman, Low eccentricity elliptical fibers with helical windings under slow-wave consideration some special cases, Optik, Vol. 121, pp. 926–933 (2010). K. Y. Lim, P. K. Choudhury, and Z. Yusoff, Chirofibers with helical windings an analytical investigation’, Optik, Vol. 121, pp. 980–987 (2010). Md. Mijanur Rahman and P. K. Choudhury, Nanophotonic waveguidance in quantum networks – A simulation approach for quantum state transfer, Optik, Vol. 121, pp. 1649–1653 (2010). Md. Mijanur Rahman and P. K. Choudhury, Towards a novel simulation approach for the transport of atomic states through polarized photons, Optik, Vol. 122, pp. 84–88 (2011). Md. Mijanur Rahman and P. K. Choudhury, On the quantum link for transport of logic states, Optik, Vol. 122, pp. 660–665 (2011). Md. Mijanur Rahman and P. K. Choudhury, On the investigation of field and power through photonic crystal fibers – A simulation approach, Optik, Vol. 122, pp. 963–969 (2011). P. K. Choudhury and W. K. Soon, On the transmission by liquid crystal tapered optical fibers, Optik, Vol. 122, pp. 1061–1068 (2011). Md. Mijanur Rahman and P. K. Choudhury, Cavity quantum electrodynamics for photon mediated transfer of quantum states, Journal of Applied Physics, Vol. 109, No. 11, pp. 113110-1–113110-8 (2011). M. A. Baqir and P. K. Choudhury, On the energy flux through a uniaxial chiral metamaterial made circular waveguide under PMC boundary, Journal of Electromagnetic Waves and Applications, Vol. 26, pp. 2165–2175 (2012). P. K. Choudhury, Transmission through twisted clad liquid crystal optical fibers, Progress in Electromagnetics Research, Vol 131, pp. 169–184 (2012). A. M. A. Ibrahim and P. K. Choudhury, On the Maxwell-Duffing approach to model photonic deflection sensor, IEEE Photonics Journal, Vol. 5, No. 4, Art. No. 6553385 (2013). Masih Ghasemi and P. K. Choudhury, On the sustainment of optical power in twisted clad dielectric cylindrical fiber, Journal of Electromagnetic Waves and Applications, Vol. 27, pp. 1382–1391 (2013). Md. Mijanur Rahman and P. K. Choudhury, On the phase-space analysis of photon mediated quantum state transfer in nanophotonic waveguidance, Optik, Vol. 124, pp. 4278–4281 (2013). A. Mahmood, A. Illahi, and P. K. Choudhury, The effects on waves in silver metal due to L-nihility, Journal of Modern Optics, Vol. 60, pp. 1332–1336 (2013). Masih Ghasemi and P .K. Choudhury, Propagation through complex structured liquid crystal optical fibers, Journal of Nanophotonics, Vol. 8, pp. 083997-1–083997-13 (2014). M. A. Baqir and P. K. Choudhury, Waves in coaxial optical fiber under DB boundaries, Optik, Vol. 125, pp. 2950–2953 (2014). Masih Ghasemi and P. K. Choudhury, On the control of optical confinement in sheath helix loaded dielectric elliptical fiber, Journal of Modern Optics, Vol. 61, pp. 1509–1518 (2014). M. A. Baqir and P. K. Choudhury, On the control of energy confinements in microstructured twisted clad optical fiber, Applied Physics B: Lasers and Optics, Vol. 117, pp. 481–486 (2014). M. A. Baqir and P. K. Choudhury, On the propagation and sensitivity of twisted clad DB medium optical fiber structure under slow-wave approximation, Optics Communications, Vol. 338, pp. 511–516 (2015). Masih Ghasemi, P. K. Choudhury, and Abdelbaset M. A. Ibrahim, Transmission characteristics of circular and elliptical helically cladded optical fibers – A comparative analysis, Optical Fiber Technology, Vol. 21, pp. 128–136 (2015). Masih Ghasemi and P. K. Choudhury, Conducting tape helix loaded radially anisotropic liquid crystal clad optical fiber, Journal of Nanophotonics, Vol. 9, pp. 093592-1–093592-15 (2015). A. Mahmood, A. Illahi, A. A. Syed, and P. K. Choudhury, On the frequency response of silver metal with cylindrical geometry, Optik, Vol. 126, pp. 1233–1235 (2015). Masih Ghasemi, P. K. Choudhury, and Arash Dehzangi, Nanoengineered thin films of copper for the optical monitoring of urine – A comparative study of the helical and columnar nanostructures, Journal of Electromagnetic Waves and Applications, Vol. 29, pp. 2321–2329 (2015). N. Iqbal and P. K. Choudhury, Tailoring of group velocity dispersion in dual core chiral nihility waveguide, Journal of Modern Optics, Vol. 62, pp. 1419–1426 (2015). M. A. Baqir, Masih Ghasemi, P. K. Choudhury, and B. Y. Majlis, Design and analysis of nanostructured subwavelength metamaterial absorber operating in the UV and visible spectral range, Journal of Electromagnetic Waves and Applications, Vol. 29, pp. 2408–419 (2015). N. Iqbal and P. K. Choudhury, Dual-core chiral planar waveguide-based compact and efficient dispersion compensator, Optics Communications, Vol. 358, pp. 190–197 (2016). N. Iqbal and P. K. Choudhury, On the power distributions in elliptical and circular helically designed chiral nihility core optical fibers, Journal of Nanophotonics, Vol. 10, pp. 016008-1–016008-12 (2016). M. Ghasemi, M. A. Baqir, and P. K. Choudhury, On the metasurface based comb filters, IEEE Photonics Technology Letters, Vol. 28, pp. 1100–1103 (2016). N. Iqbal and P. K. Choudhury, Scattering due to twisted PEC cylinder coated with chiral/chiroferrite mediums, Optik – International Journal of Light and Electron Optics, Vol. 127, pp. 7030–7039 (2016). N. Iqbal and P. K. Choudhury, Current density distribution along conducting sheath helix encapsulated silver metal cylinder coated with dielectric material under L-nihility and upon oblique incidence, Waves in Random and Complex Media, Vol. 26, pp. 581–591 (2016). N. Iqbal, P. K. Choudhury, and P. S. Menon, Scattering of waves by chiral medium coated dielectric elliptical/circular cylinders with PEC sheath helix loading, Journal of Electromagnetic Waves and Applications, Vol. 30, pp. 1504–1518 (2016). M. A. Baqir and P. K. Choudhury, On the fast-waves in dispersive core twisted clad waveguides, IEEE Antennas and Wireless Propagation Letters, Vol. 15, pp. 1735–1738 (2016). M. Ghasemi, P. K. Choudhury, M. A. Baqir, M. A. Mohamed, A. R. M. Zain, and B. Y. Majlis, Metamaterial absorber comprised of chromium-gold nanorods-based columnar thin films, Journal of Nanophotonics, Vol. 11, pp. 043505-1–043505-10 (2017). N. Iqbal and P. K. Choudhury, On the chiroferrite medium-based waveguide dispersion compensator, IEEE Photonics Technology Letters, Vol. 29, pp. 715–718 (2017). N. Iqbal and P. K. Choudhury, Effects of admittance and gyrotropy on the scattering due to chiro-ferrite medium coated microstructured PMC cylinder, Optics Communications, Vol. 405, pp. 88–95 (2017). M. A. Baqir and P. K. Choudhury, Hyperbolic metamaterial-based UV absorber. IEEE Photonics Technology Letters, Vol. 29, pp. 1548–1551 (2017). P. K. Choudhury and M. Abou El-Nasr, Whither vacuum tubes? Journal of Electromagnetic Waves and Applications, Vol. 31, pp. 1769–1770 (2017). M. Ghasemi and P. K. Choudhury, Complex copper nanostructures for fluid sensing – A comparative study of the performance of helical and columnar thin films, Plasmonics, Vol. 13, No. 1, pp. 131–139 (2018). N. Iqbal and P. K. Choudhury, Scattering response of featured uniaxial anisotropic chiral medium coated twisted PEC cylinder, Waves in Random and Complex Media, Vol. 28, No. 4, pp. 589–600 (2018). R. Julius, Abdel-Baset M. A. Ibrahim, P. K. Choudhury, and H. Eleuch, On the nonclassical dynamics of cavity-assisted four-channel nonlinear coupler, Chinese Physics B, Vol. 27, No. 11, pp. 114206-1–114206-8 (2018). R. Julius, Abdel-Baset M. A. Ibrahim, Mohd. Kamil Abd. Rahman, and P. K. Choudhury, Quantum dynamics of a four-channel Kerr nonlinear directional coupler, Optical Review, Vol. 25, No. 5, pp. 563–570 (2018). S. Moghaddas, M. Ghasemi, P. K. Choudhury, and B. Y. Majlis, Engineered metasurface of gold funnels for terahertz wave filtering, Plasmonics, Vol. 13, No. 5, pp. 1595–1601 (2018). P. K. Choudhury and P. K. Jain, A professor’s bounty – In remembrance of Professor Prasad Khastgir, Asian Journal of Physics, Vol. 17, No. 2 (2008). P. K. Choudhury and M. Abou El-Nasr, Progressing electromagnetics, Journal of Electromagnetic Waves and Applications, Vol. 27, pp. 1–2 (2013). M. Abou El-Nasr and P. K. Choudhury, Electromagnetics – Driving the future, Journal of Electromagnetic Waves and Applications, Vol. 27, pp. 1587–1588 (2013). P. K. Choudhury and M. Abou El-Nasr, Invited reviews, Journal of Electromagnetic Waves and Applications, Vol. 28, pp. 1399–1400 (2014). P. K. Choudhury and M. Abou El-Nasr, Electromagnetics for biomedical and medicinal applications, Journal of Electromagnetic Waves and Applications, Vol. 29, pp. 2275–2277 (2015). P. K. Choudhury and M. Abou El-Nasr, Complex metamaterial mediums and THz applications, Journal of Electromagnetic Waves and Applications, Vol. 29, pp. 2405–2407 (2015). P. K. Choudhury and M. Abou El-Nasr, Current trends of graphene technology, Journal of Electromagnetic Waves and Applications, Vol. 31, pp. 1971–1973 (2017).